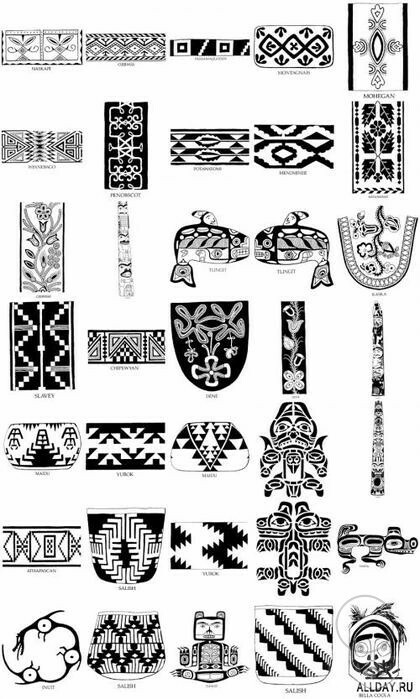 I attentively examined the clothes of Paiute Indians and the accurate geometric architecture in the Iroquois settlement and decided to search for more information. 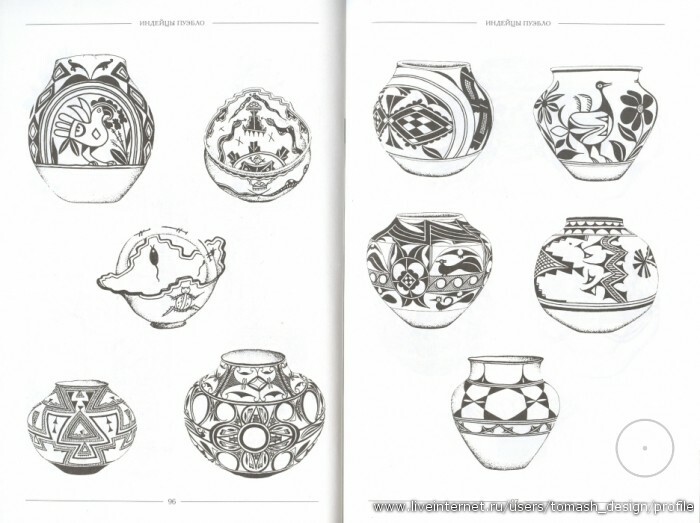 Everything that I have further discovered originated from the above two images, so many thanks to the person who sent them to me at the right time. 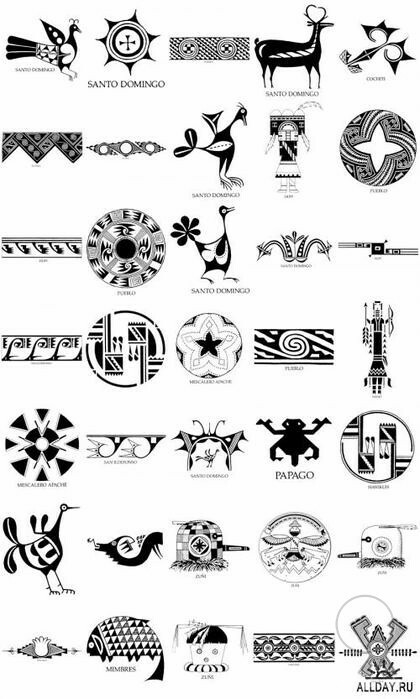 Looking at these images, I could explain many things, but where did the Indians take the Ghost Dance, the crescent, and the star from? It’s a very serious question indeed! 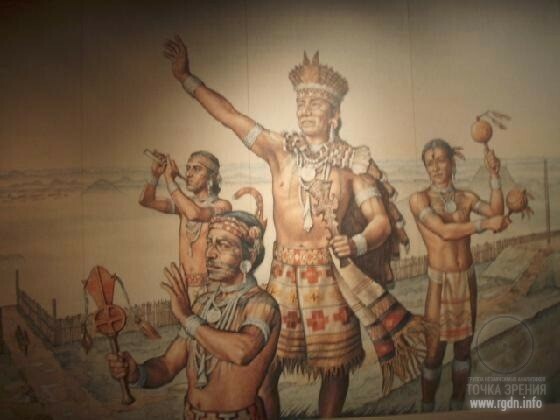 As a further more mature pathfinder I followed the new fresh track leading northward across the American continent from our starting point indicated in the previous article about Quetzalcoatl, i.e. 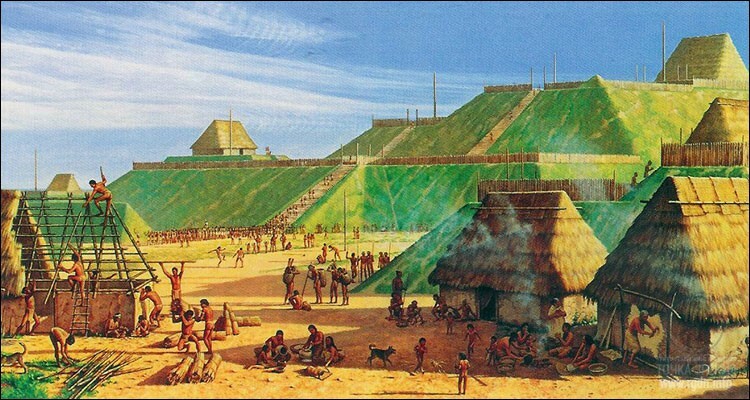 from Yucatán Peninsula where the Toltec and Maya civilizations had been situated. Taking into consideration that a star and a crescent represent major symbols (signs) in the Primordial Knowledge and are well described in the AllatRa book, it was definitely the right guideline – I really felt the 11th century was somehow marked in this locality. Moreover, note that the crescent is above the star, which is Allat in Allat or strengthening of the strong (for sure many of you saw such symbols in Islam and Orthodoxy). 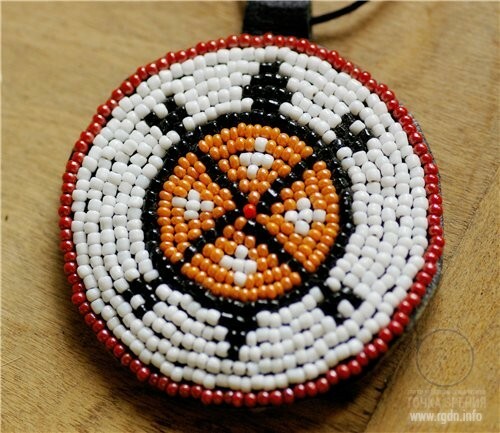 The Ghost Dance emerged among Paiute Indians who lived in the western part of North America, called the Great Basin. 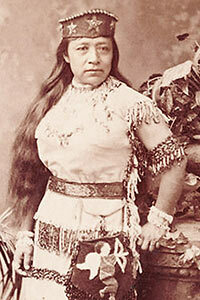 As for the origin of the word paiute, as well as the origin of the tribe itself, it is unclear and unknown. I failed to find any specific information except for a photograph of Sarah Winnemucca, the Paiute writer, educator, and activist. This 1883 photo is on the right. 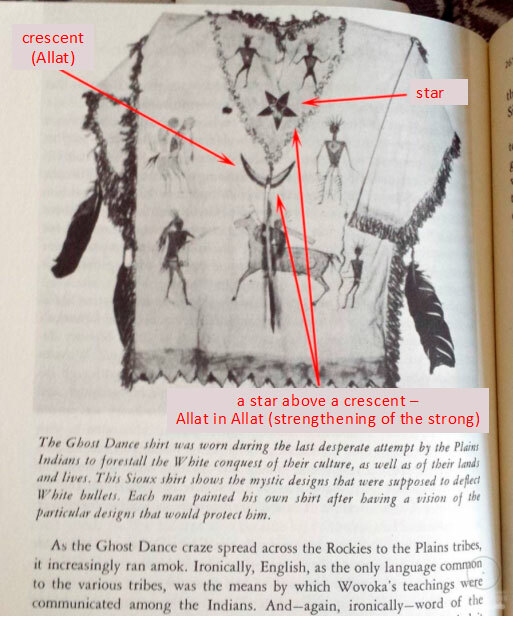 As we can see, her hat is decorated with several images of a five-pointed star that was repeatedly discussed on our website, especially in the articles Jim Alison’s lines and Five points of the Star. 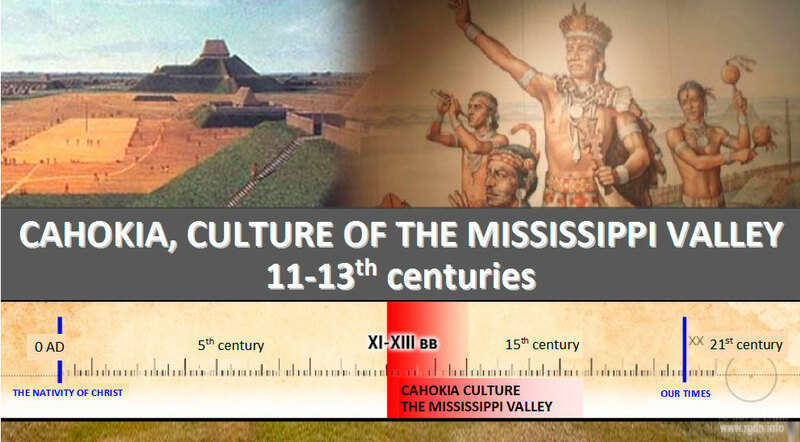 Judging by the title, it is clear people inhabited the Mississippi Valley, but I’ve been particularly amazed by the fact there are real pyramids there (!). 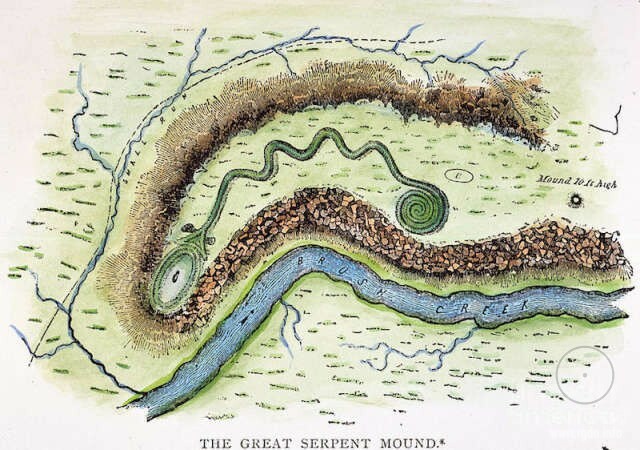 Historians call them mounds, but it makes no difference whether we call them mounds or pyramids, they still remain ancient archaeological structures the purpose of which is still unknown. 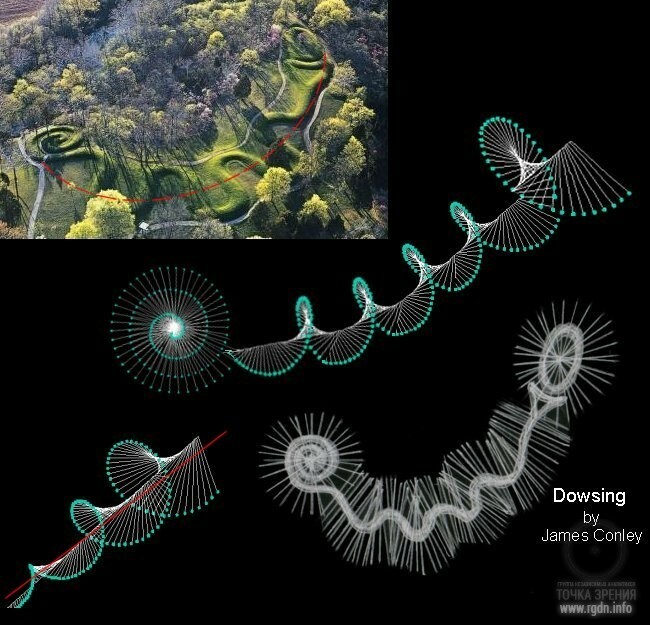 At that, there are over a hundred such mounds in the area! 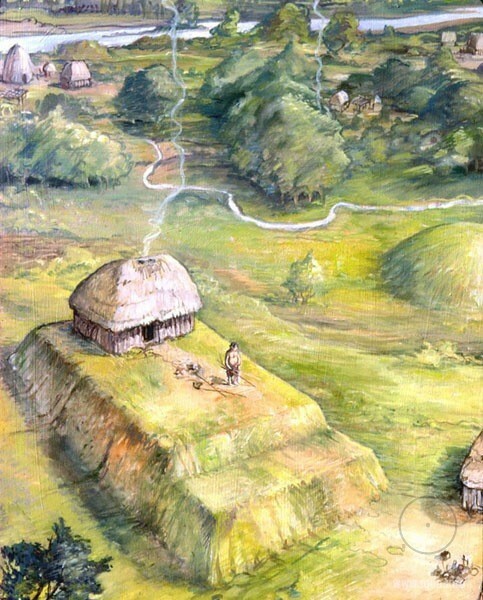 Researchers believe the heyday of the Mississippian culture in Cahokia was between 1050 and 1250 AD. In the course of excavations, the wooden solar calendar Woodhenge was found. 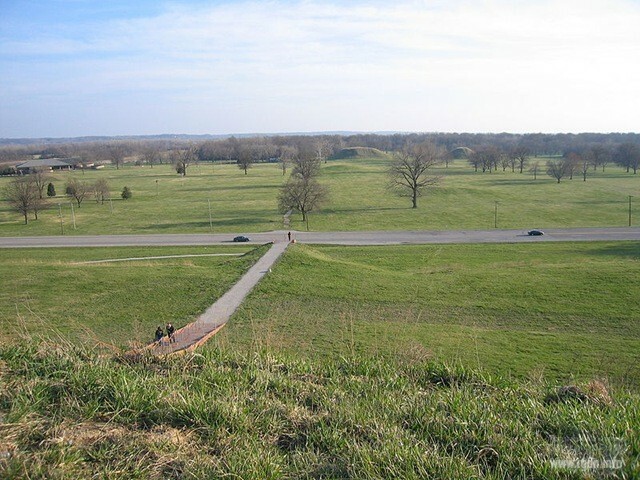 The calendar performed a major religious and astrological function in the life of the Cahokia community, marking the solstice and equinox days (this is not the first place where such importance was emphasized). 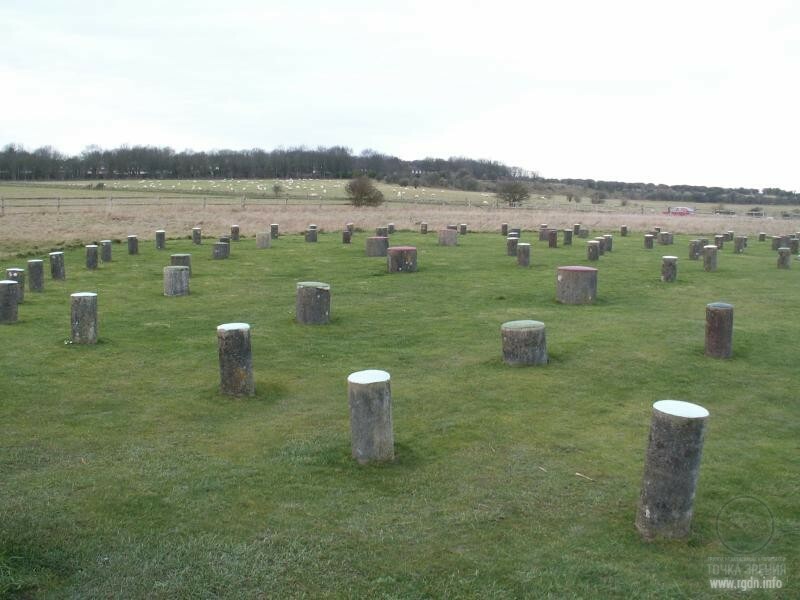 Woodhenge represented a circle of cedar stilts and was used for astronomical observations. Now it is reconstructed. 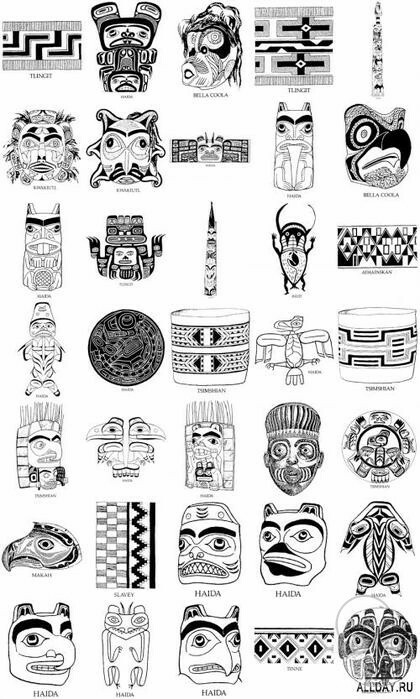 The most interesting and amazing thing is that such images are found nearly on all continents of the earth, though being attributed to different historical periods and cultures that outwardly have little in common, but to all appearances possessed the same knowledge. 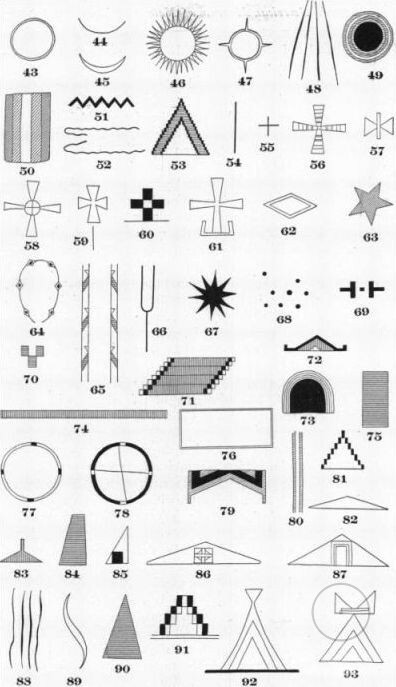 Researchers see an obvious interconnection between such ancient images and symbols, but so far they are unable to understand totally which common information they bear. Well, God grant them an encounter with the AllatRa book! 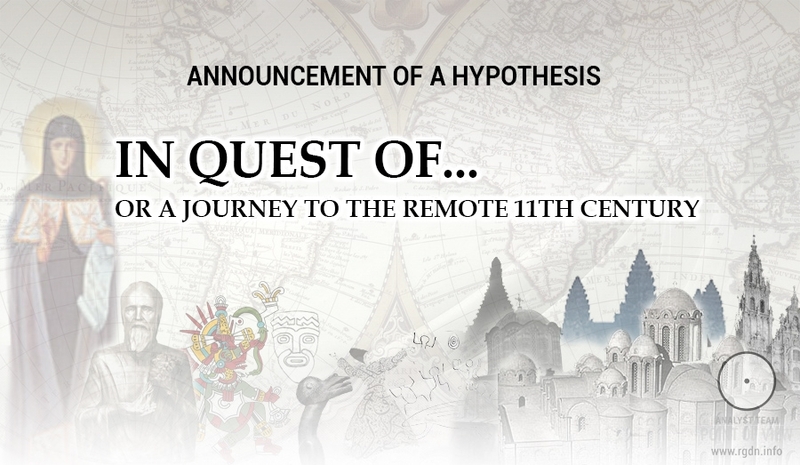 Should historians, archaeologists and culture experts take the Knowledge given in the said book and perform certain analysis, they would arrive at so many discoveries! 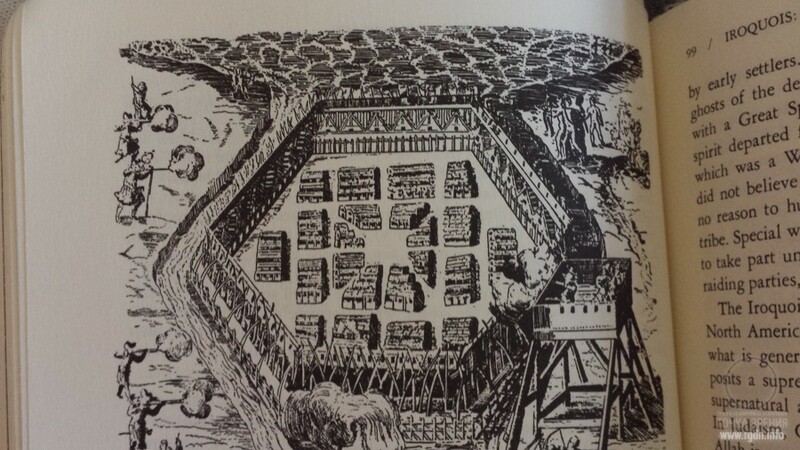 In the meantime, I’d like to present an image gallery with mounds (or rather pyramids), drawings and layouts of settlements. 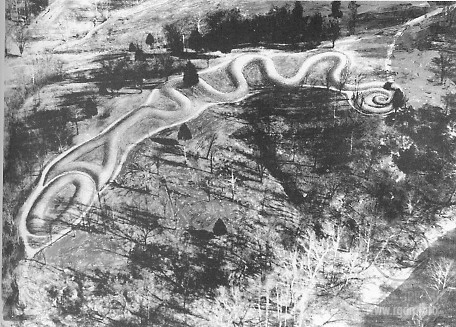 When I was preparing the material for Pyramids: the mystery that may be finally unravelled!, I had no idea such mysterious structures were present in the Mississippi Valley as well. 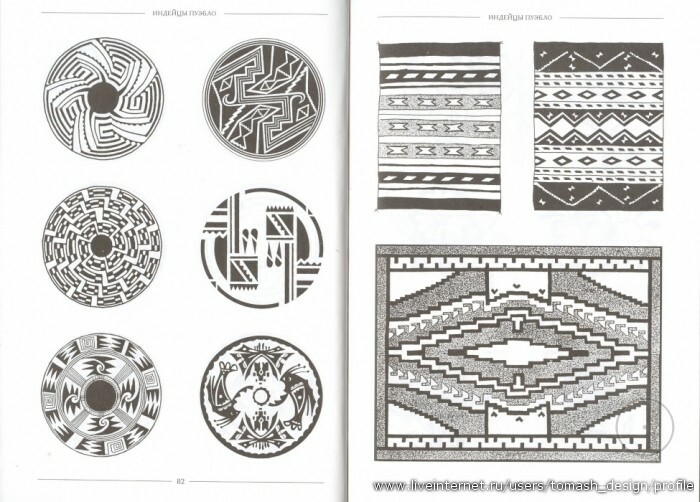 Looking closely at the above image, we can discern a cross in a circle and an equilateral cross in the pattern of the tribal chief’s clothes. And a rhombus (!) is there, too. 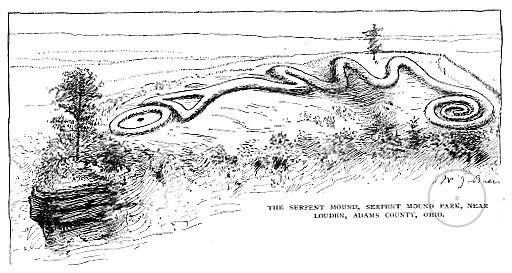 This is an unexpected drawing: an Indian hut is on a mound, which evidences the purpose of mounds was totally other than banal burial of the deceased. You should agree it would be unnatural to build a house on a tomb. 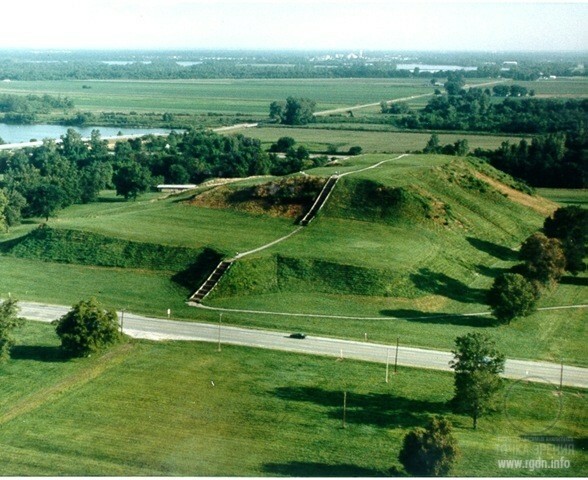 The fate of Cahokia is quite predictable for permanent visitors of our website, i.e. it is absolutely unknown. 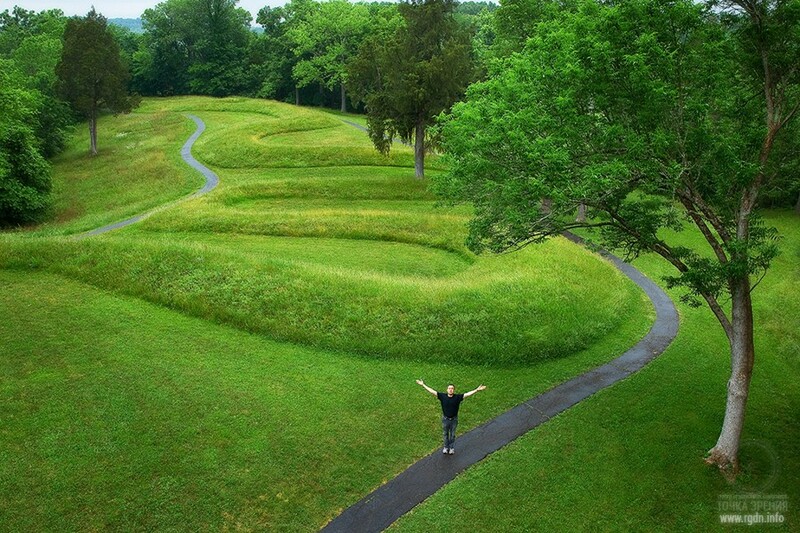 There are neither legends nor records about Great Cahokia as it is also called. 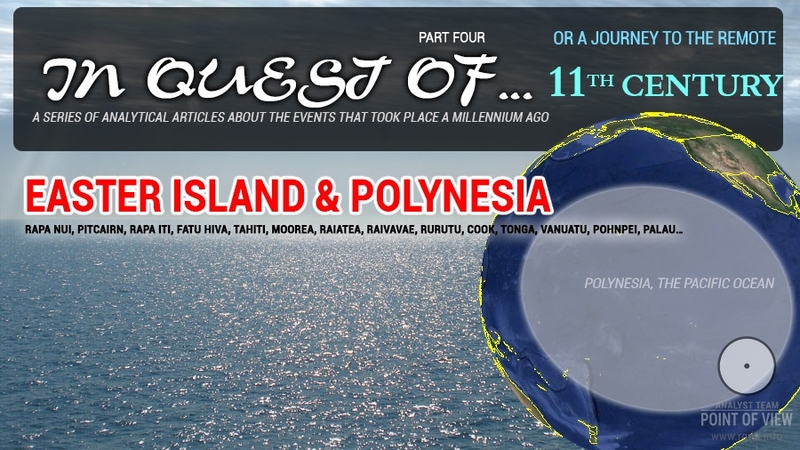 “This strange culture is cloaked in mystery”, as many contemporary scientists write. Well, everything is obvious with this strange culture in fact – it was simply cleaned up. 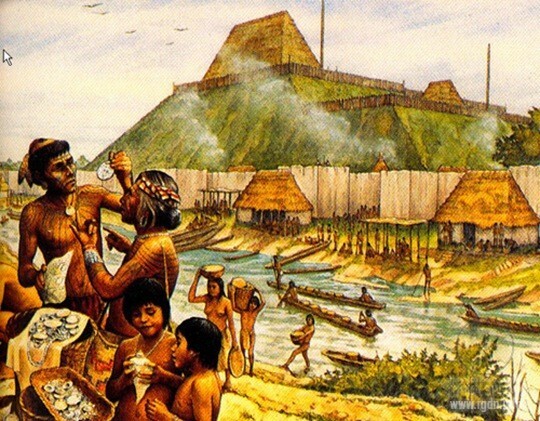 Many also crack their brains over questions: “Who were the creators of Cahokia? Where was their ancestral home? 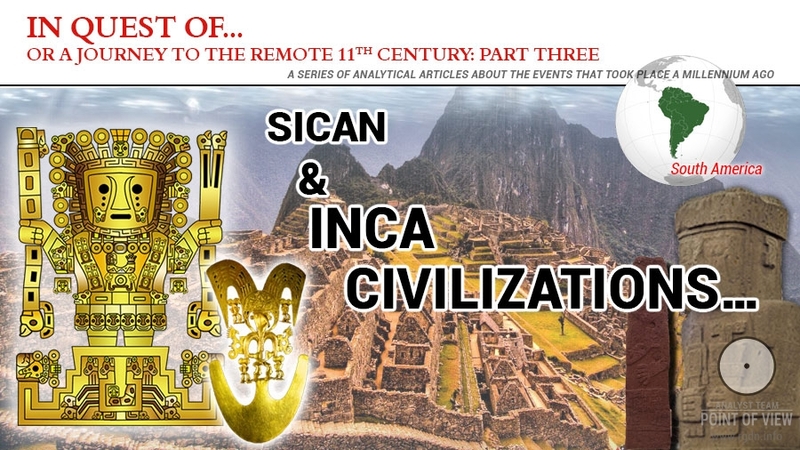 Where did such marvellous cultural impulses come from to the Mississippi Valley?” Recently we started wondering at the same things, and a logical conclusion arises that quite probably the spiritual knowledge of the Toltecs in the 11-12th centuries could have spread across North America to the Mississippi and northward to LakeOntario where the Iroquois tribes lived. 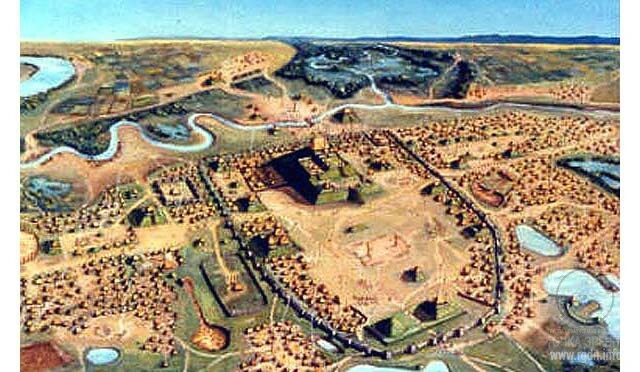 The fate of Cahokia is predictable for us by another reason as well. 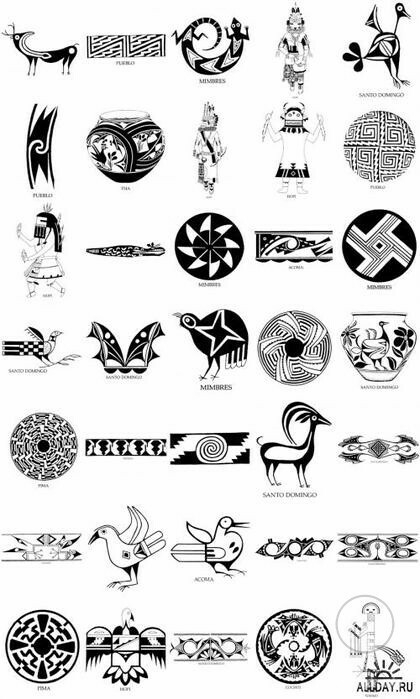 Suffice it to look at the ornaments of North American Indians to understand the point. 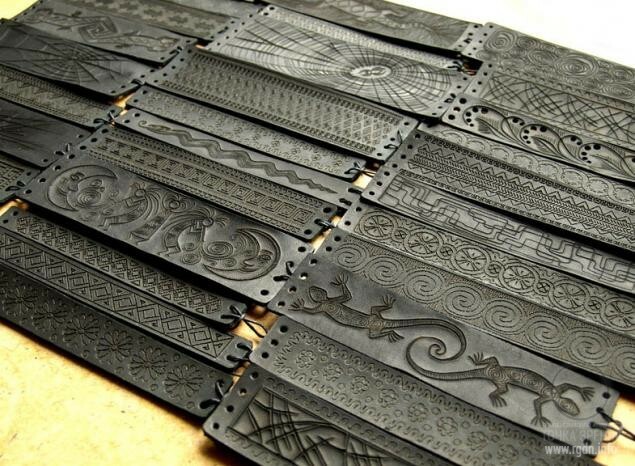 After all, these are echoes of the Primordial Knowledge which may be encountered in cultures of various peoples of the world on nearly all the continents. 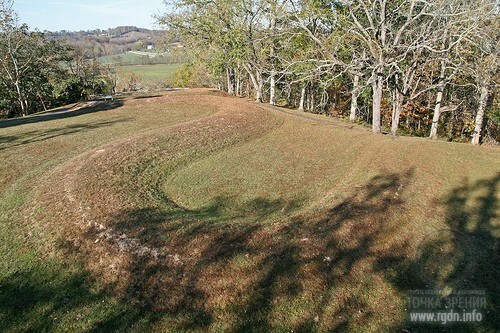 Based on results of radiocarbon tests of local materials found in 1996, the mound dates back to circa 1050 AD, though we won’t link the mound origin with the Fort Ancient culture even despite the fact the mound outline ends with a shape of the AllatRa sign on one of its edges. If you remember, we observed something similar in the images in Places of Power. 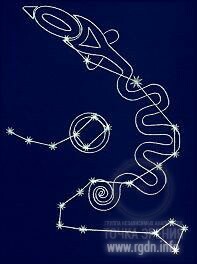 Ley Lines, where the four Viking fortresses in Denmark – Trelleborg, Eskeholm, Fyrkat, and Aggersborg – form a straight line of many kilometres, and at the Trelleborg extreme point of the line there is also the AllatRa sign (a crescent and a circle). 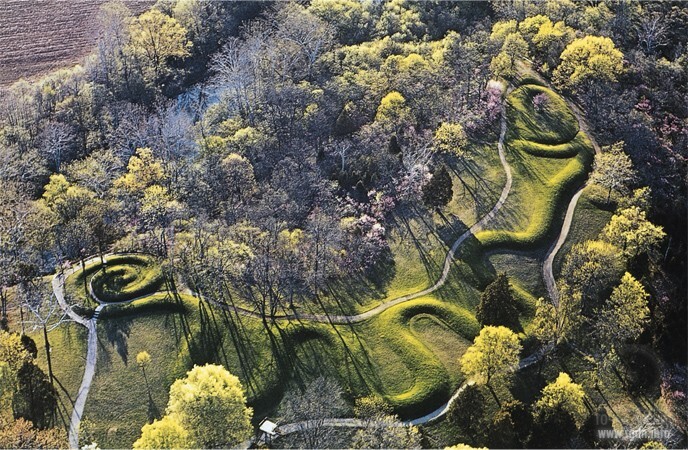 There is even a schematic projection of the Serpent Mound on the constellation of Draco that we talked about in earlier articles (read more in The Orion-Draco Pendulum) or, in other words, a projection on the star map. I don’t have any explanations to this so far, so let me just continue. 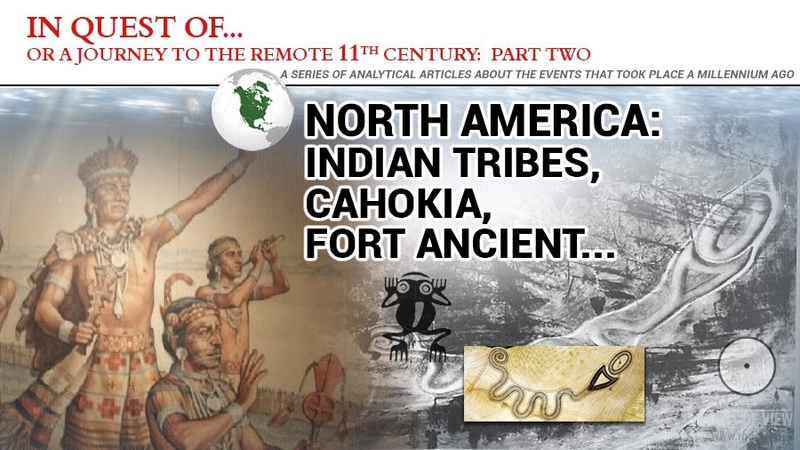 A missionary John Heckewelder recorded a legend of the Lenape people about a mysterious Allegevi or Tallegevi people that had supposedly inhabited the territory of contemporary Ohio State in ancient times. 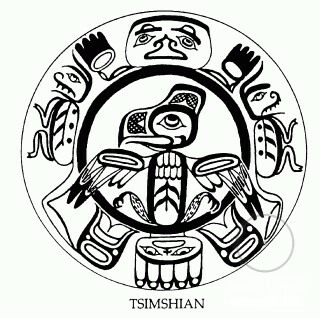 The same people are mentioned in Iroquois legends. 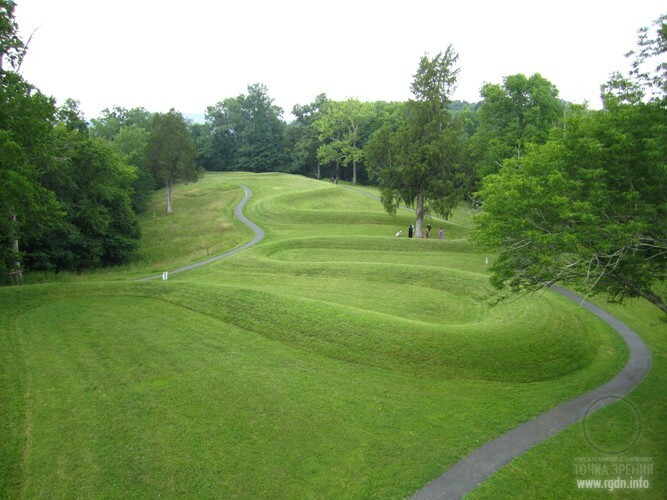 Construction of mounds is sometimes ascribed to Allegevi, although nothing is known about them except legends. This is a typical pattern: due to a general “fortuity”, everything that has some value from a spiritual perspective shows no deep roots and is shrouded in mystery. 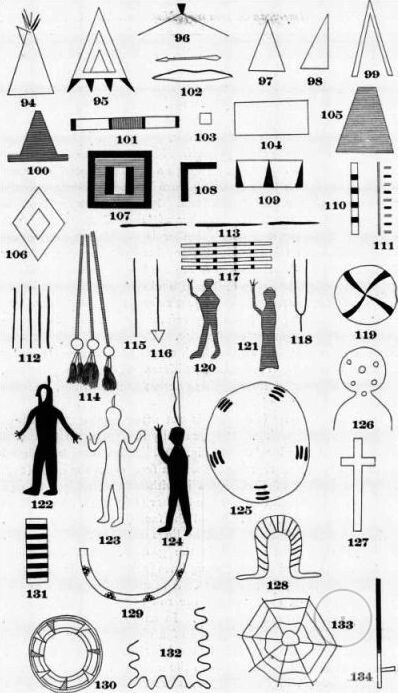 In the AllatRa book there are several pictures relating to traces of the pure spiritual knowledge, in particular the knowledge of the four human Aspects, which traces were left by the Navajo Indians. 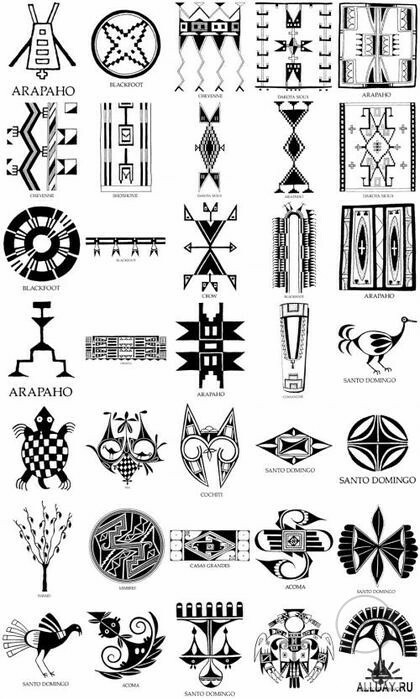 For instance, in such rites as the Holy Way the North American Navajo Indians use certain sacred symbolic images composed of fine coloured sand, which are erased once the ceremony is over. 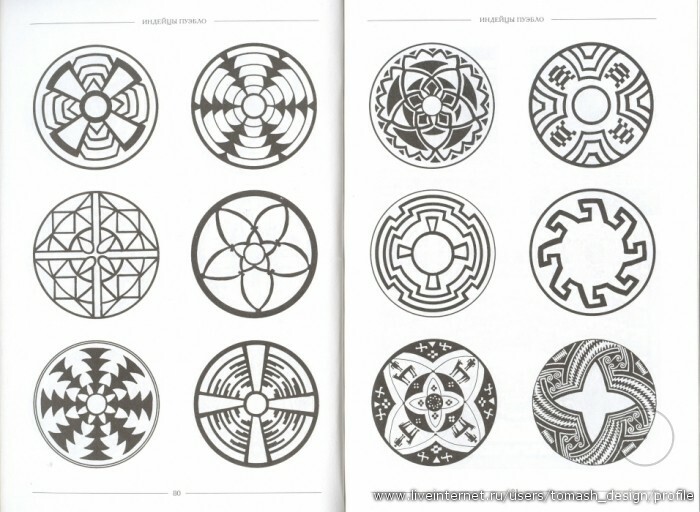 When you get a chance, pay attention to the sand painting called The Whirling Logs made for the sacred The Night Way chant. 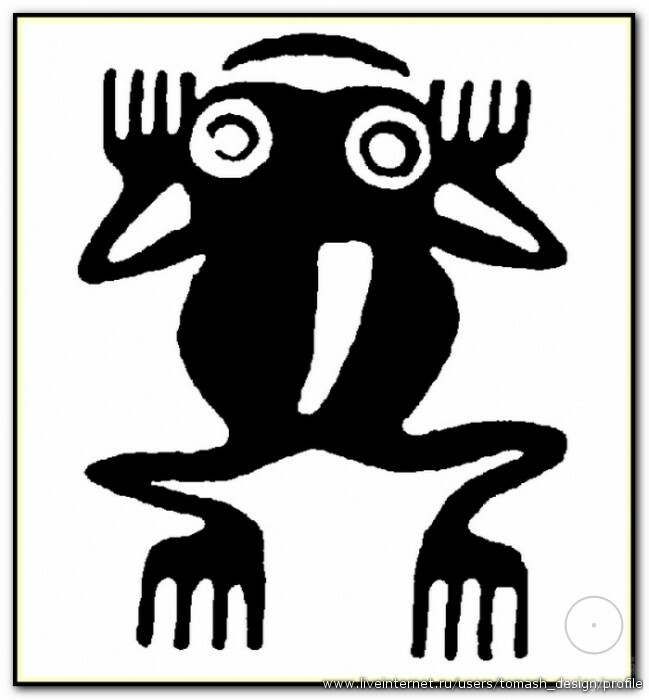 An unexpected discovery for a person who is fond of solving riddles: “The Front Aspect is represented by the main Yei holding a squirrel bag – the Speaking White God (the Quiet Speaker) that protects people.” It turns out the Navajo people possessed the spiritual knowledge. How? Maybe, in the following way (see the map below)? 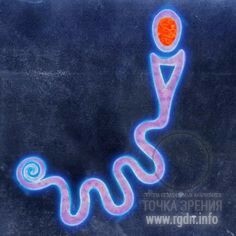 This is just a hypothesis, though it seems to me the Primordial Knowledge brought by Quetzalcoatl was definitely spread all over the continent, because people inhabited all parts of it, while all people are actually the same in their essence. In the end, it should certainly be added that the US policy towards the indigenous population of the continent is probably the most shameful part of the American history. Natives in North America became strangers in their own home after the European colonizers had arrived, though they still make up 1.6% of the total population in these lands. About one third of 5 million Native Americans (over 1.5 million people) live in 563 reservations (this is such a terrible word for the indigenous population of a whole continent!). Moreover, according to the Tribal News agency, food prices in the reservations are nearly 2 times higher than in regular American shops. Inhabitants of the reservations have much poorer education than their congeners living outside the national territories. 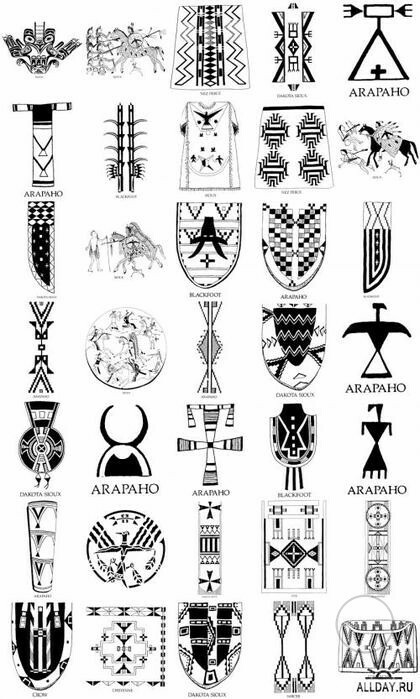 Indian reservations in the USA are not called reservations everywhere: for instance, they are called rancherias in California, pueblos in New Mexico, and Indian colonies in Nevada (the primordial owners of the land have been placed in colonies…). The 11th century again. 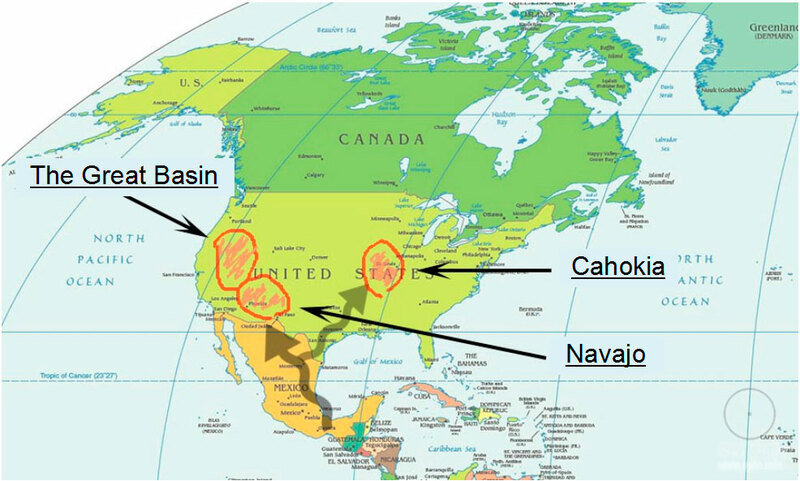 North America – the Mississippi, the Great Basin, Arizona. Again signs, symbols and sacred architecture as the traces of spiritual flourishing. 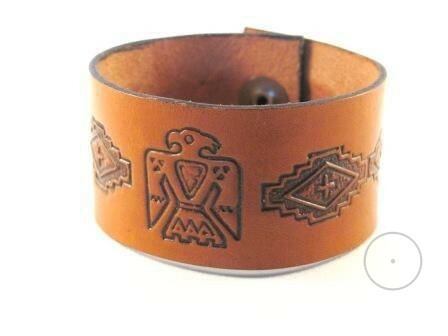 Navajo Indians had the Front Aspect represented by the main Yei holding a squirrel bag – the Speaking White God (the Quiet Speaker) that protects people. Eventually we see the period of decline and oblivion, and the history is totally “cleaned up”. 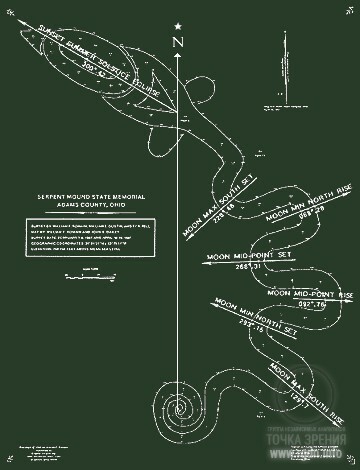 Unfortunately, today we have no idea of the level of development of the extinct cultures in the Mississippi Valley. For some unknown reasons, in the course of time these territories mostly turned so desolate that they started to be called the EmptyLand, and it’s equally difficult to say anything specific about the desert areas in Arizona and the Great Basin. If you, dear readers, have any additional information on the subject, please share it in the commentary section below, and we will update the material. Sincere thanks to Alex Soloviov for the hint. Owing to your short message this material has come into being.